No Mehr Bad Dreams - Color. . HD Wallpaper and background images in the Die Tribute von Panem club tagged: no more bad dreams color katniss peeta catching fire the hunger games. Thats sooo Cute! :D Awesome! Love it! I don't know why Peeta appears so much paler than Katniss though? Did it say that in the book? Oh well. This is pretty good. yes i think it said peeta was ivory and katniss was olive. Looks good, i dont think katniss is that dark thoug. aswwwww1 MY FAV PART IN THE BOOK! awwwwwww so sweet!!! i think i am gonna cry!! BUT IT IS REALLY GOOD!!!!!! OMG THEYRE SOOOOOOOO CUTE <3 peeta. seriously. am I the ONLY ONE who thinks she looks like Lara Croft????????? 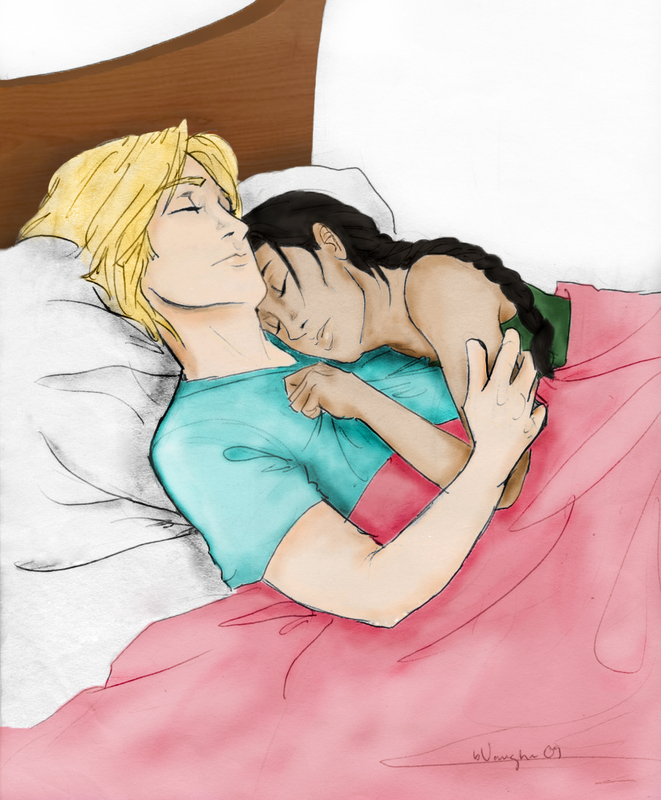 I would KILL to be Katniss in this picture.